Ball is taken out of bounds by your best passer. They signify start of play by slapping ball. Baseline (ballside) sets their player up by stepping toward ball, showing target. Baseline players sets up-screen for ball side high player. 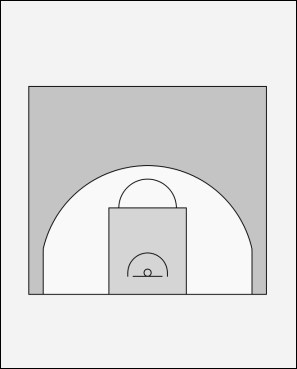 That player looks to flash to basket or use screen. Player cuts to short corner off up-screen. Screener pops out looking to receive ball. Weakside high down-screens and baseline player sets up their defender by stepping toward ball. Player cuts off down screen to elbow. If ball has been entered, cutter looks to receive ball. If ball has not been entered, cutter can flash to ball-side elbow to receive ball. Screener pops out (but should look for seal). Once ball is inbounded, look for reversal. Low post sets screen for inbound passer, who will flash toward the ball.